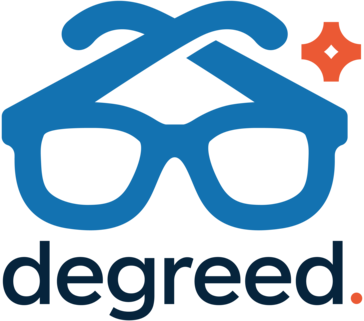 "Learning Made Easy with Degreed"
I thoroughly like the user interface for Degreed compared to other online education platforms. Strong integration team that knows that they are talking about. Offers a wide variety of course/classes to take online and a strong option for any company trying to push employees for training or additional education in the workplace. Having offices in Salt Lake City Utah and California, makes it nice and easy for west coast clients to have an easier connection to their rep or point of contact. Try to research the amount and quality of the employees at the company and support that you will receive when deciding on an e learning solution. Being able to have individuals at the company get certified in courses and receiving training in relevant areas of our business. Very dynamic team that helps users maximize the uses for their products. "Degreed - Great tool for professional development"
Degreed is a great tool for professional development. Our company uses it to create different pathways for all kinds of topics (i.e. time management, leadership) and you can also create your own pathways for any topics you're interested in. There is also an Chrome plugin and you can easily add articles to Degreed and read them later. You can also get point for every article you read - our company gives out rewards for power users and it's a great motivation. Definitely a great resource to have. There are also time estimates for each article or video that tells you how long it will take you to complete. Degreed is very customizable and content is being pulled in from external and internal resources. The UI is user friendly, but could use an update. I with there was an easy way to browser content by topic. It's what you make of it. It's a great resource, but if employees are not using it it's just another tool. Our company uses it for professional development and has been a great resource. All internal training material is easily accessible through Degreed for all employees. The ability to find learning content for most business situations and professional development goals. Also, although I've not used "Skills" yet, I plan to and I'm excited too. Sometimes the content isn't always on point, there are many great courses and a few stinkers. There are a number of solutions on the market now but I find Degreed to be the most complete. They really were the pioneers in this space and they continue to lead the charge. With the acquisition of Pathgather, Degreed really beefed up the user experience. They are passionate about what they do and it shows. Personal development. Learning in the flow of work. Building Career paths. Really like the user interface for Degreed compared to other online education platforms. Strong integration team that knows that they are talking about. Offers a wide variety of course/classes to take online and a strong option for any company trying to push employees for training or additional education in the workplace. Research the amount and quality of the employees at the company and support that you will receive when deciding on an e-learning solution. Having individuals at the company get certified in courses and receiving training in relevant areas of our business. Very dynamic team that helps users maximize the uses for their products. I like that there are options and plans for learning instead of just search and learn whatever. It helps achieve the ultimate goal. The main focus of this software is to actually help you achieve your goals and the pathway they have is really unique compared to other software. It's rather new so there is a lot of other competitors that are able to find a lot more content than degreed. The content is the only bad thing right now because the software is still pretty new. Give it time it will get better but I think it will be one of the best. Learning web development. Not a lot of benefits yet. Still new software and still learning myself. "New and interesting learning tool"
The large variety of content given to study. I enjoy the various sources for the content and like the fact I can see other articles people I am connected with are reading. I have come across some interesting articles. I also like the that I can track a number of other learning sites that I use. It covers most but not all of the on-line learning portals. The ability to customize your own learning plan is also a nice feature that I am still developing - this really forces you to think about what your goal is and how to reach it. Tracking your progress is nice and does help you see if you are getting to the place you want to be. On occasion the content suggested is not really in-line with my goal. Occasionally the Integrations section bugs out and it requires you make your information public. Given security there is no easy answer to that but wish there was a way to interconnect but keep others sites private. It is a good idea to know what you want to focus on in order to refine the content to study. Do not be afraid to skip articles or content you do not feel meets your goal. For staff development this could become an effect tool. Once those in charge of training figure out how best to make it work for their company. Two methods I see are letting the employee choose there own path and then sharing the progress and/or developing a specific track for employees. Both have the advantage of providing opportunities for staff development. The cost is with in range of most if not all companies. "Great platform for learning and sharing!" I like that you can see what your colleagues, especially management and Senior Leadership is reading/watching. I dislike that you can't mass follow a group of individuals (ex. a whole office). You have to search name by name and follow each person individually which makes me less likely to follow more people. Great platform to share best practices/tips/articles/etc. As a team we're able to share what we're learning including best practices and new strategies/ideas to do something we do daily, a little different. "Degreed is a user friendly platform "
Tools I can easily access and refer to that I would like to reference to do my job daily. "New Product that needs more support"
Be ready for challenges - implementation was tough, but it is truly a great product! I love that there are different pathways to follow and I can search for different topics. There isn’t a search option for a specific course. We utilize this tool to educate our team and provide resources for training. Providing employees training that is relevant to their role/job. So far Degreed has allowed us to load targeted content, customize learning paths, and keep track of training hours spent. I like the skill certification program as it is a combination of data science and skill evidence helping to sharpen your personal skills. * We monitor all Degreed reviews to prevent fraudulent reviews and keep review quality high. We do not post reviews by company employees or direct competitors. Validated reviews require the user to submit a screenshot of the product containing their user ID, in order to verify a user is an actual user of the product. Hi there! Are you looking to implement a solution like Degreed?